This uniquely designed shaving bowl is a beautiful addition to your morning shave routine. Each bowl is hand brushed with hot wax before glazing . 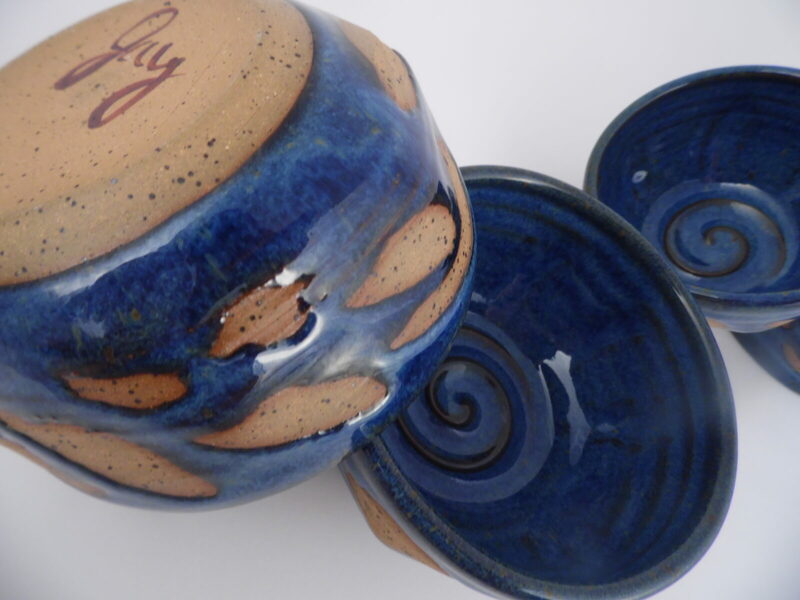 The hot wax creates unglazed sections on the outside of the bowl only, offering a better grip and unique design. JaysClay pottery is made completely in the USA. The soap & brush are not included, only the shaving bowl is for sale. This ceramic bowl is a functional piece and is dishwasher and microwave safe. If you are interested in similar shaving bowls in different colors, such as blue, purple, white and green, type JaysClay into the Amazon search bar and you will see the other items available.